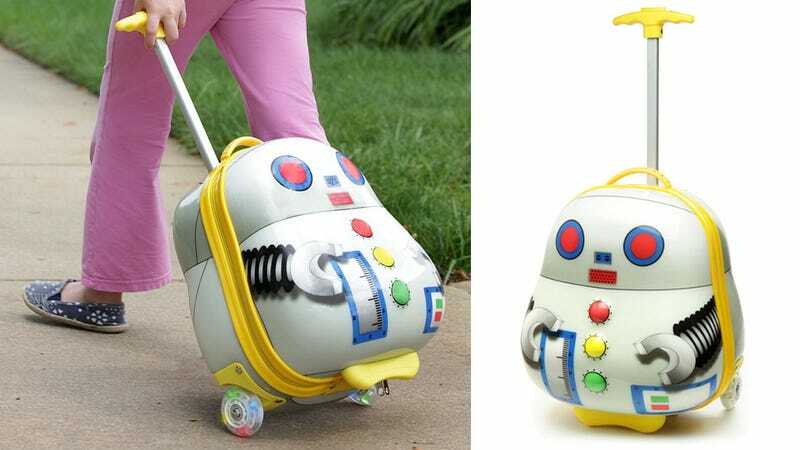 Why Can't Luggage For Adults Be As Wonderful As This Robo-Bag? There's an unwritten rule that luggage for adults has to have a fairly mundane and boring design. But when you're waiting at the luggage carousel and realize that everyone else had the same idea to buy a red suitcase to stand out, you realize there has to be a better way. And there is, it's just too bad the $40 Luggo here is only big enough to store a child's wardrobe.